Note: We are using Internet Explorer11 to demonstrate the changes, but these steps should be similar for all versions of Internet Explorer. Click the Tools icon in the top right corner, then click on Internet options. 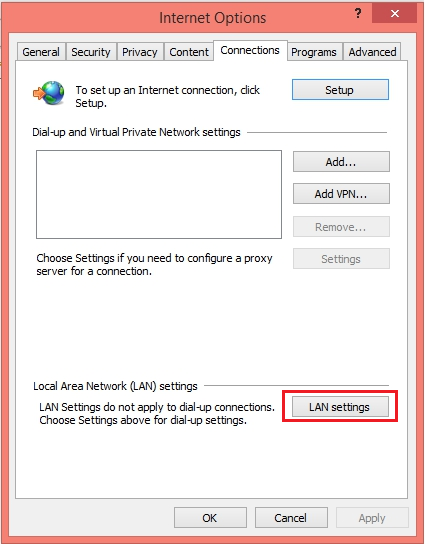 Then click the "LAN Settings" button. 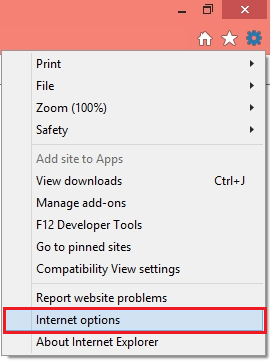 In the LAN Settings, uncheck the box that says "Automatically detect settings". 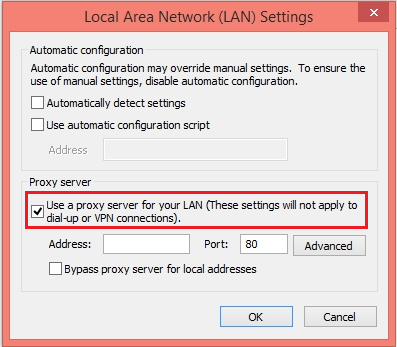 Then in the Proxy Server Section, click the checkbox to enable "Use a proxy server for your LAN..."
Press OK and then OK again to save your settings.